After several years of preparation, a new book dedicated to the Art of Medieval Hungary was finally published by Viella in Rome. 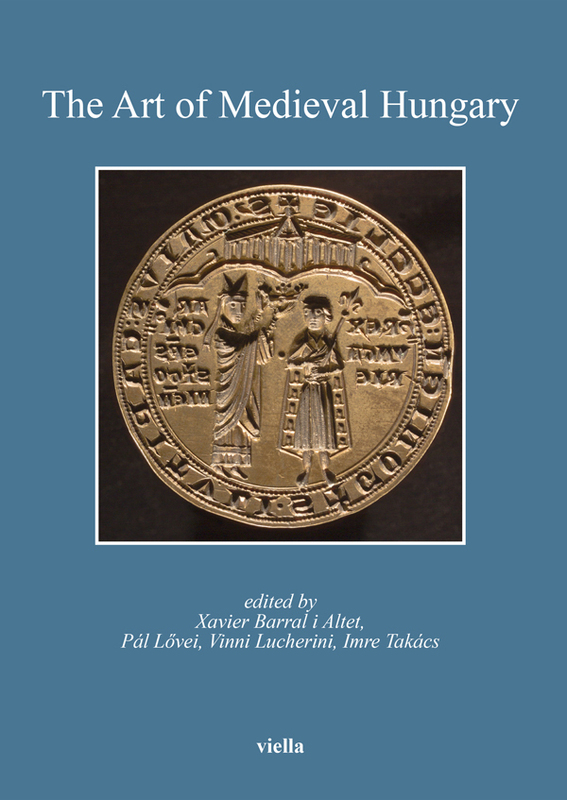 Edited and written by a team of Hungarian and international experts, including today’s foremost experts in medieval art history, the book provides an up-to-date overview of research about the medieval Kingdom of Hungary. The editors are Xavier Barral i Altet, professor of art history at Université de Rennes, Pál Lővei, researcher at the Art History Research Institute of the Hungarian Academy of Sciences, Vinni Lucherini, professor of art history at Università di Napoli Federico II, and Imre Takács, Head of the Art History Department at ELTE. The editors have developed a novel concept for this collection of studies: rather than providing a simple chronological structure, the first part of the book consists of a series of studies arranged into thematic groups, surveying medieval art in various contexts: the art of towns and villages, art in the context of liturgy and religious cults, and art in various public and private contexts. A great attention is also given to the sources and the historiography of medieval art in Hungary. The second part of the book contains two sets of shorter essays: one dedicated to key monuments and medieval artworks, while the second set deals with museums and collections of medieval art. Publication of the book was coordinated by the Hungarian Academy in Rome, and especially its previous director, Antal Molnár. As stated in the publisher's description: "the Hungarian Academy of Rome offers to the medievalist community a thematic synthesis about Hungarian medieval art, reconstructing, in a European perspective, more than four hundred years of artistic production in a country located right at the heart of Europe. The book presents an up-to-date view from the Romanesque through Late Gothic up to the beginning of the Renaissance, with an emphasis on the artistic relations that evolved between Hungary and other European territories, such as the Capetian Kingdom, the Italian Peninsula and the German Empire. Situated at the meeting point between the Mediterranean regions, the lands ruled by the courts of Europe west of the Alps and the territories of the Byzantine (later Ottoman) Empire, Hungary boasts an artistic heritage that is one of the most original features of our common European past." In addition, the book was produced under the auspicies of the Research Centre for the Humanities of the Hungarian Academy of Sciences and with the support of the National Bank of Hungary. Thanks to the expertly written essays, as well as the exhaustive bibliography included in the volume, the book can be regarded as an essential new starting point for research on art in medieval Hungary. The detailed contents are listed on the publisher's website, and I copied them below as well. I case you are wondering, I contributed a study on village architecture, specifically on the art and architecture of parish churches in Hungary, as well as a shorter essay on the former Augustinian church of Siklós. I included one of my illustrations below. The Art of Medieval Hungary. edited by Xavier Barral i Altet, Pál Lővei, Vinni Lucherini, Imre Takács. Bibliotheca Academiae Hungariae - Roma. Studia, 7. Roma: Viella, 2018.